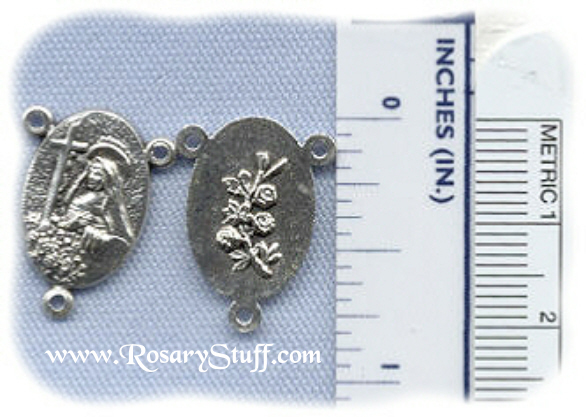 Italian oxidized silver plate St. Rita rosary center. Click HERE for information about St. Rita of Cascia including her background and patronage. A little over 3/4 inch tall (including rings) and 1/2 inch wide.